The Lutz group today includes highly capable medium-size companies operating in various industries and located both in Germany and abroad. The fusion of selected enterprises considerably enlarges the product range. Additionally, the synergies resulting from the inter-company co-operation between Lutz Pumpen GmbH and MTE with Lutz-Jesco GmbH offer the customers interesting perspectives, too. Technopool GmbH joined the group in 2003, adding water treatment equipment for pools to the product line. ControlAir is a worldwide leading manufacturer of precision pneumatic and electro pneumatic control products essential to automated industrial equipment, process control systems and instrumentation, laboratory research and analysis, energy management, fluid power, robotics, and valve automation applications. An ISO-9001/2008 registered quality system assures tightly controlled specifications and processes, resulting in dependable pneumatic controls. VibraSens is a European company that designs and manufactures vibration instrumentations such as industrial piezoelectric accelerometers, vibration sensors, vibration transmitters, signal conditioners, junction boxes, low noise cable assemblies, connectors, accessories and calibration equipments. The ANDRITZ GROUP is a global market leader in the supply of plants, equipment, and services for hydropower stations, the pulp and paper industry, for solid/liquid separation in the municipal and industrial sectors, the steel industry, as well as for the production of animal feed and biomass pellets. 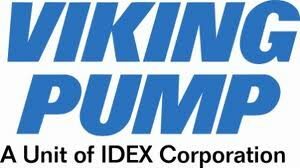 Viking Pump has been a pump industry leader and innovator since its founding in 1911. We continue to build on our ever growing experience delivering innovative new pumping solutions, including custom designs, to many thousands of customers who use millions of Viking pumps in some of the world’s toughest applications. Since 1936, Pulsafeeder, Inc., headquartered in Rochester, New York, has been the recognized leader in fluids handling technology. Pulsafeeder has always understood that leadership is comprised of many facets, all in balance: long-standing, high performance products, comprehensive application solutions, innovative engineering designs, knowledgeable and attentive service, continuing improvements in R & D and Manufacturing processes. 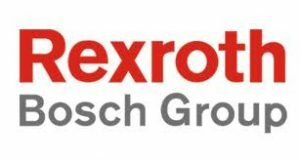 Bosch Rexroth is one of the world’s leading specialists in the field of drive and control technologies. Under the brand name of Rexroth the company supplies more than 500,000 customers with tailored solutions for driving, controlling and moving. The Verder Group consists of a group of technical production and trading companies all over the world. The products and services of the Verder Group are production and sales of pumps and pumping systems, mixers, milling and sieving equipment, storage, feeding, conveying, classifying, granulating, odour reduction equipment and industrial tooling.